2014 Adidas Adizero Shoes are Here! 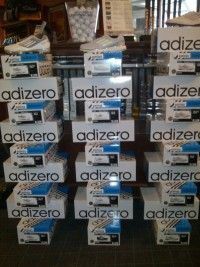 The Brand New Adizero Shoes from Adidas have now arrived in the Lynx Ridge Pro Shop! The Men’s Adizero One Shoe! 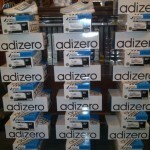 The Ladies Adizero Sport Shoe! The Ladies Adizero Tour Shoe! The New Adidas Adizero Shoes of 2014! « Our New Website Has Been Launched!